BBC Music Introducing is out on the road as part of The Biggest Weekend UK Fringe. 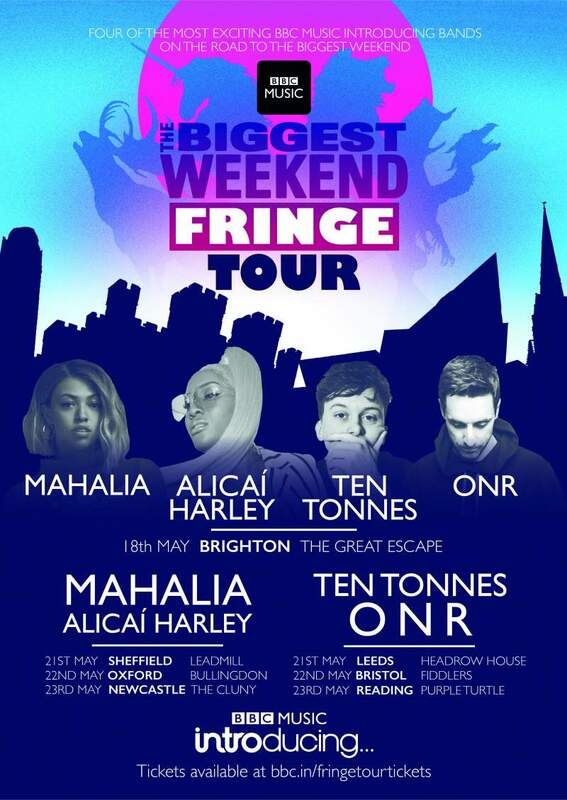 Having started at The Great Escape festival in Brighton on Friday 18th May, it stops off in the North East at The Cluny on Wednesday 23rd May before coming to its conclusion as part of the The Biggest Weekend. Soul-influenced singer songwriter Mahalia is joined by Alicaí Harley who also brings a beautifully soulful vibe. Both are immensely talented, emerging musicians and it’s easy to see why BBC Introducing would want to spotlight these artists. With local favourite and captivating folksy songstress Martha Hill completing the bill, it’s a strong line-up to make the most of one of the region’s best venues too. BBC Biggest Weekend Fringe Tour is at Cluny, Newcastle on Wednesday 23rd May.